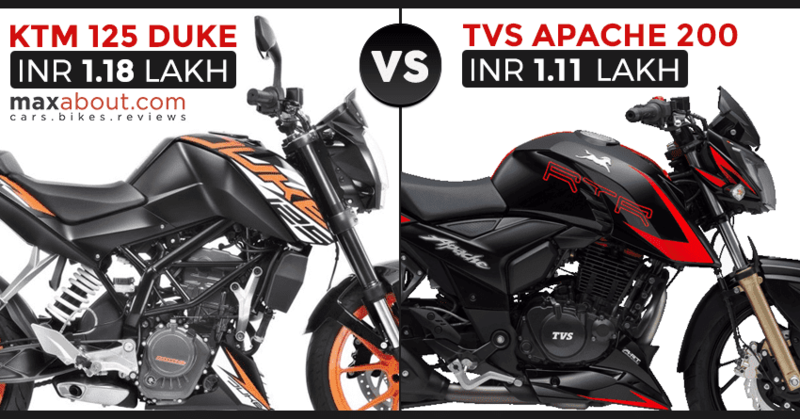 KTM 125 Duke vs TVS Apache RTR 200 (Quick Comparison): In terms of price, the TVS Apache RTR 200 is another segment rival for newly launched KTM 125 Duke. As both bikes have a huge displacement difference, the choice-making process becomes easier for different types of riders. 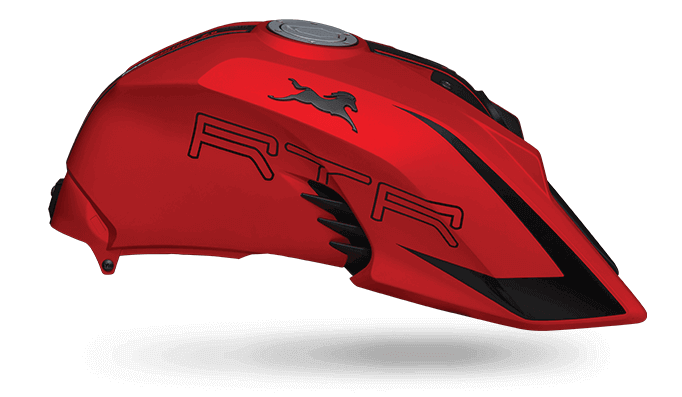 Apache RTR 200 is priced at INR 1,10,805 for the ABS variant while latter commands a price tag of INR 1,18,000 (ex-showroom Delhi). 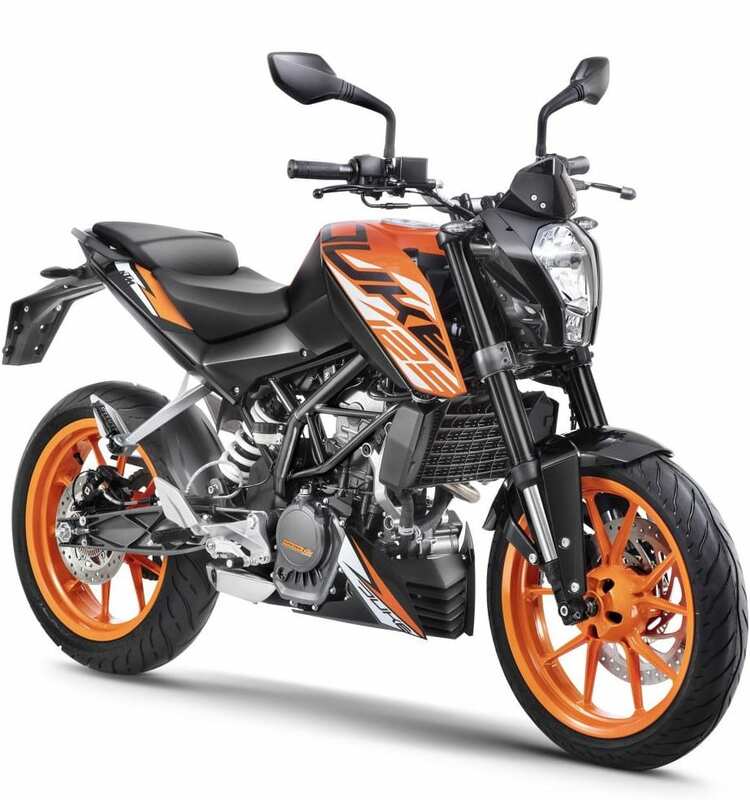 The basic consideration is the use of USD front forks on the Duke and powerful 200cc motor on the Apache RTR 200. 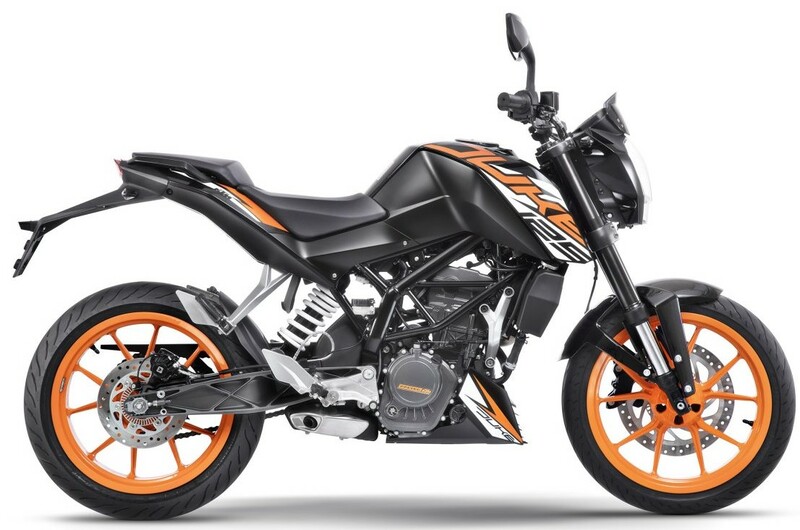 Apart from this, both bikes use fully-digital console, dual disc brakes and typical streetfighter design language. 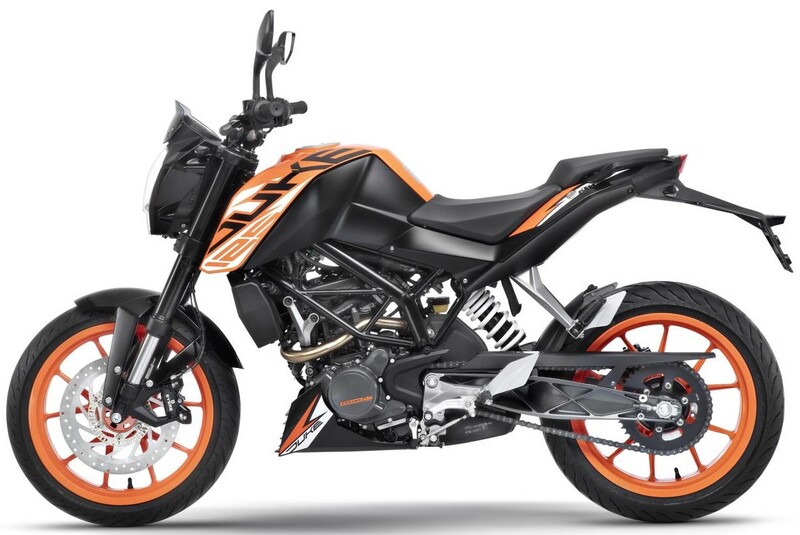 Also, the KTM 125 Duke benefits for the wide front and rear tyres. The 125cc engine on the most affordable Duke is good for 14.5 PS of power and 12 Nm of torque. 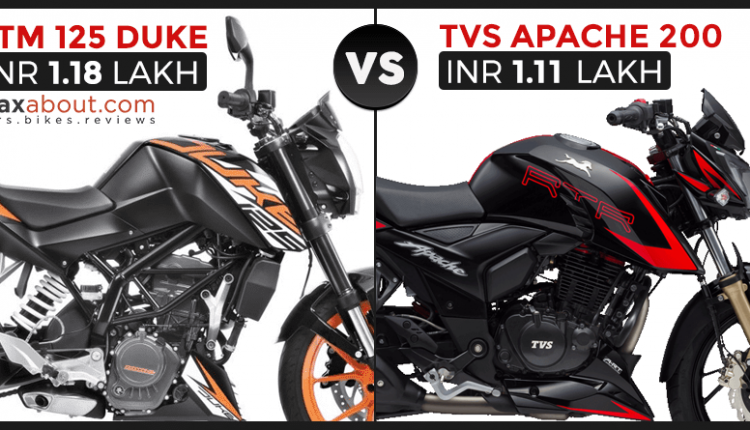 In comparison, the carburetor-fed engine on Apache 200 is good for 20.5 PS and 18.1 Nm. The former comes with a 6-speed gearbox while latter is available with a 5-speed gearbox. 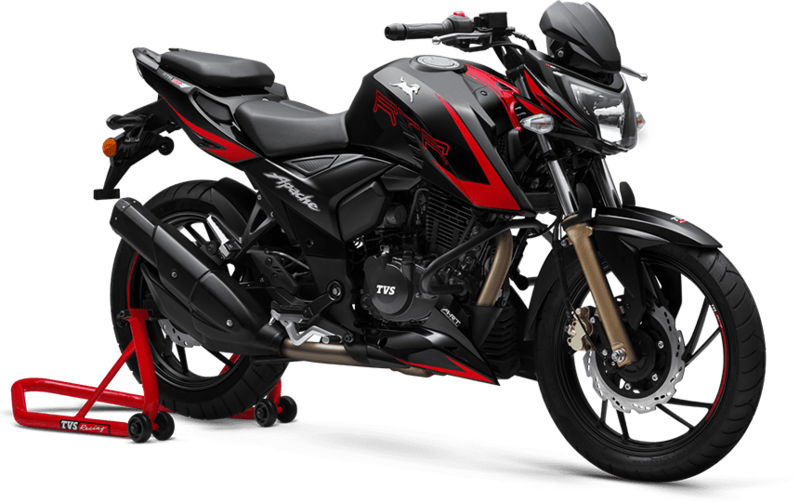 TVS Apache is available with 130-section rear tyre while Duke 125 features 150-section rubber for the premium feel. 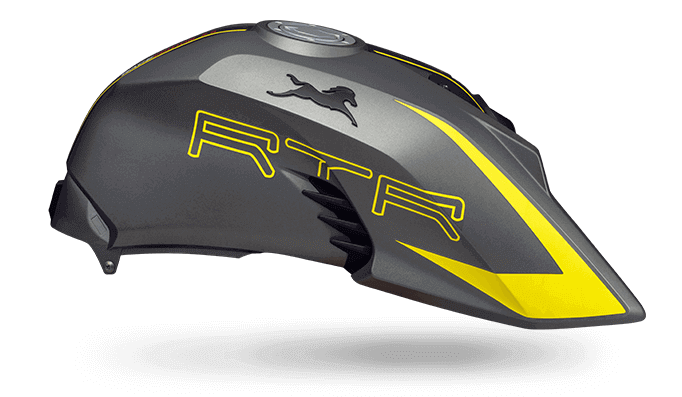 The headlight stays halogen on both the models, getting LED option on bigger Apache RR 310 and KTM 390 Duke. 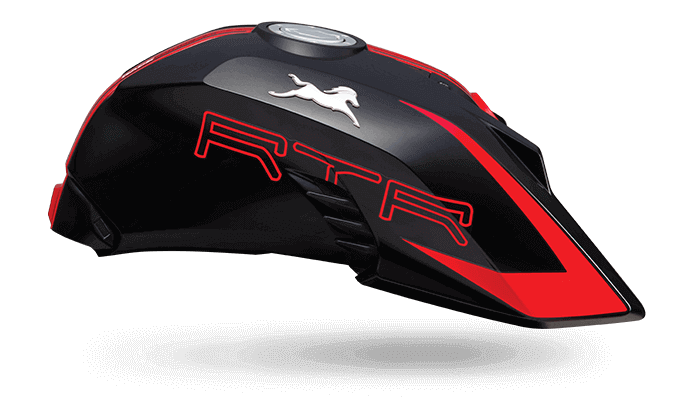 The price difference of INR 7,195 is considerable for those with tight budget and higher power requirement. *TVS Apache RTR 200 is also available in non-ABS and fuel-injected variants priced at INR 97,000 and INR 1.10 lakh respectively. All prices mentioned here are ex-showroom Delhi.